Regions – North American Baptists, Inc. The North American Baptist Conference is a collection of more than four hundred churches dispersed across eleven regions. Each region is led by a Regional Minister, a pastor to the pastors and churches within their region. Through the Regional Ministers, the NAB is capable of effectively ministering to each church on a more personal level. 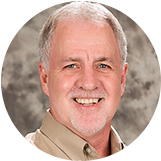 Terry has a passion for pastoral leadership and development. 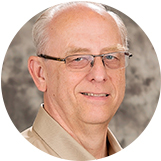 A pastor for many years, he is now the minister for the Alberta Baptist Association. 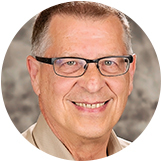 Terry is also the former vice-president of External Relations at Taylor Seminary and has taught courses at the school for many years. He’s been married to Tamara for over thirty-seven years, and they have six children and four grandchildren. Terry enjoys the Lord of the Rings movies and Viktor Frankl’s Man’s Search for Meaning. What is now known as the Atlantic Association was the location of some of the first German Baptist Churches in North America. The region consists of fifteen churches across New Jersey, eastern New York, and Pennsylvania. The regional minister is Rev. Larry Burd. 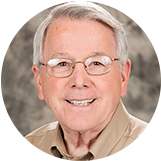 Larry served as the pastor of Calvary Baptist Church in Easton, Pennsylvania, for thirty-three years until September 2016, when he went on a nine-month sabbatical, after which he returned to Calvary on a part-time basis. He is married to Sharon. Larry’s favorite movie is Fiddler on the Roof. He also enjoys the outdoors, especially hunting, fishing, and gardening. 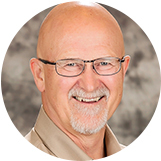 Bob has been the regional minister for the British Columbia Baptist Association since 2005. 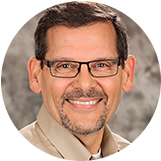 He holds a BA in Psychology from the University of Alberta and an MDiv and DMin from the Southern Baptist Theological Seminary. Bob has worked a diverse collection of jobs, including as an underground miner, a heavy equipment operator, a big game guide, and a plumber’s helper. He has been married to Dawn for more than forty-three years, and they have two married children and six grandchildren. Dan lives in Fort Worth, Texas, with his wife, Geri. He has served as an associate pastor, a church planter, the Coordinator of Leadership Development for the NAB, and a lead pastor. Dan’s desire as regional minister, a role he’s held since 2011, is to see every church in the Central Plains Region growing to consistently help people love God and love people so they become disciples who themselves make disciples at home and abroad. He enjoys reading John Grisham novels. Dave’s wife, Jean, accompanies him on his travels visiting the thirty-one churches within the Eastern Association, where she connects with the wives of the pastors and leaders. They have been NAB church members within the Eastern Association since 1989. 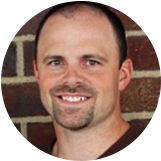 Dave attended seminary in the United States before pastoring in NAB churches. They have four children and eight grandchildren living in France, Japan, Virginia, and New York. 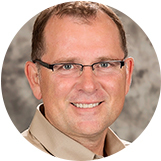 David graduated from McMaster University Divinity College in 1996 with a DMin. 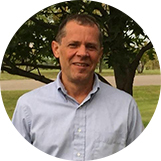 Before serving as the regional minister for the Great Lakes Region, Terry was the senior pastor at Heartland Community Church in Medina, Ohio, a church he planted back in 1997. He holds an MDiv from Ashland Theological Seminary. Terry has been married to his wife, Janie, since 1974, and they have two adult children, Nate and Elisa. The movie Pee-wee’s Big Adventure is among his favorite works. Rick resides in Roseville, California, with Annie, his wife of over thirty-six years. 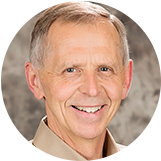 He served on staff at churches in Ohio, Michigan, and South Dakota before becoming the regional minister for the Northwest region prior to taking the NorCal regional minister position. Rick and Annie have two daughters: Megan and Malarie. When he is not “working,” Rick is laughing with friends, giving new life to discarded items, landscaping, or grocery shopping and cooking with Annie. Prior to serving as regional minister beginning in November 2017, Randy was the pastor of Temple Baptist Church for twenty-seven years. He also served on the NAB Executive Committee and in various association roles. Having grown up on a dairy farm in north central Iowa, Randy is a farm boy at heart and still enjoys working outside in his garden. He has been married to Kristy since 1979; together they raised five children, who have since gifted them with three grandchildren. Ken was born in Saskatchewan, but spent most of his formative years in British Columbia. Ken and Marlene, his wife, have two children and two grandchildren. He earned a BA in Pastoral Ministries from Briercrest Bible College. 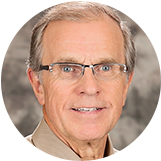 Ken has pastored churches in Regina and Melville, during which time he also served as vice moderator, moderator, and cluster leader in the Saskatchewan Baptist Association, of which he became the regional minister in 2011. The Southern California Association contains four different ethnic groups who form twenty-one churches in the Southern California Association. James currently resides in Chicago, Illinois, with his wife, Kris, to whom he has been married for more than thirty years. Together they have four sons, two daughters-in-law, and three grandkids. James attended Moody Bible Institute, Sioux Falls Seminary, and Gordon-Conwell Theological Seminary, where he received his DMin. He taught for several years as an adjunct professor and has served as a church planter and a pastor in four states. James enjoys going on long rides on his motorcycle.